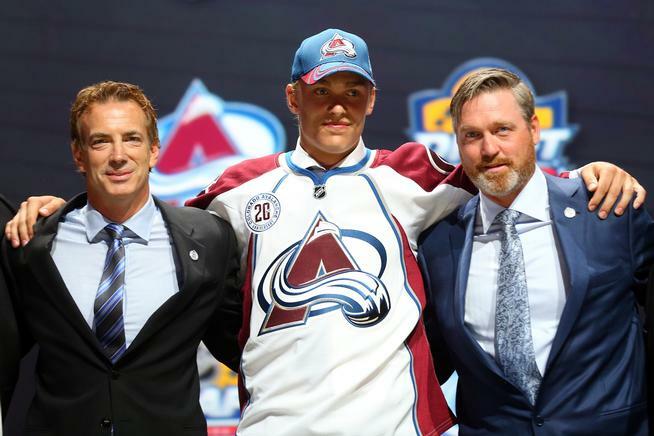 The Colorado Avalanche announced today that 2015 1st round draft choice (10th overall), Mikko Rantanen, has been reassigned to the San Antonio Rampage. Dennis Everberg was called up to replace Rantanen in Denver. Rantanen, 18, was scoreless in six games with the Avalanche and was a team worst -5. According to CBA rules, since Rantanen is 18, if he spends the rest of the year in San Antonio, his ELC will slide, meaning he will still be under contract for his original three year deal. There is also a possibility, albeit not set in stone, that Rantanen will be invited–and allowed by the Avalanche–to play in this year’s World Junior Championship, taking place in Rantanen’s home country of Finland. If allowed–and still in San Antonio–, Rantanen would miss at least five games between December 26th and January 5th. Everberg was enjoying success playing on the Rampage’s top offensive line with Ben Street and Andrew Agozzino. In three games this season, Everberg posted a line of 3g-2a-5pts and was a team best +4. He registered at least one point in each game and played well in all three zones and was a big contributor on special teams. While Everberg may be the better all-around player at this stage of their careers, there is no question Rantanen has the higher offensive upside, as his draft position would indicate. I don’t anticipate much, if any, drop off in production of the top line as Rantanen figures to slide into Everberg’s spot. Rampage fans won’t have to wait long to see the rookie as Saturday marks the home opener for the Silver and Black. The team will host former Rampage mainstay, Drew Shore, and the Stockton Heat with puck drop scheduled for 7pm CT. As always, Dan Weiss will bring you all the action on Ticket760.